It came to you in a dream. A luminous cathedral gleaming in the morning sun; inside the cathedral is pews made of solid oak, the handles plated with gold, and the most resplendent stained glass windows shine a kaleidoscope of colors down upon the congregation. As soon as you wake you decide that the dream was a sign and that you should tear down the old sanctuary to erect this new glorious temple of worship that appeared in your dreams. Doubt strikes you as you realize money does not grow on trees and that you will have to ask the congregation to give money. Is this project the right thing to do or is this just another idolatrous fantasy your scheming subconscious has cooked up? Before you go to your congregation to ask for money for any new project, you need to ask yourself these 5 critical questions. 1) Does this serve God? It is really easy to pass off indulgent building projects as doing the work of the Lord. Not too many people will question you and at the end of the day, you will probably look like a saint. But looking good is not your purpose, glorifying God is. Before embarking on an ambitious project, ask yourself how it serves God. If you can’t find an answer, then don’t do it. God doesn’t need gold, he wants honest souls. 2) Do I have a plan? Sometimes the best intentions go awry because the action was poorly planned out. Likewise, you need to come to your church with a plan FIRST before you ask for money. It’s very simple: if someone came to you and said, “I need $10,000 to build a house but don’t know how to build a house.” Would you give them the money? Probably not. Make sure your congregation knows where the money goes, as they’re more likely to donate when they can see what they are paying for. You can have the greatest vision for the most spectacular project this world has ever seen; but if it isn’t possible, you’ll have wasted a lot of money. Remember that these people are giving you their hard-earned money; some of whom probably couldn’t afford to but did anyway. You need to be very circumspect about the feasibility and efficacy of any project you plan for this church to undertake. It is not only your responsibility as a leader of your congregation; it is your responsibility as a man of God. 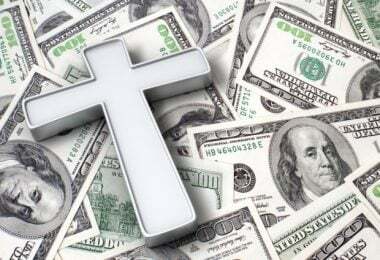 4) Will this put the church in debt? You will not always be pastor of your church. At some point, of you will either move on to another or leave the pulpit in a casket. Whenever you go, what do you want your legacy to be? Do you want your church in a healthy state of affairs or do you want to leave in financially in dire straits? Make sure you have plans and resources available to recoup all of your expenses. 5) Could this money be better spent somewhere else? You may have a plan, be pure of heart, and all the money in the world; but as we are our brother’s keeper we must be aware of the suffering of others. Are there stomachs that go to bed empty? Are there backs that remain unclothed? Are there people with no roof over their head? Before asking your congregation to give money to an expensive project, you must weigh its benefit against the cost of doing not using that money to help your fellow-man. As pastor of your church, you are a steward of the bride of Christ; and when the day comes to stand before your Father He will ask you how you faired as His steward. What do you want your response to be? Will you say that you served ethically, lovingly, and left your congregation in a better state than before you came? Or will you say you capriciously squandered your time and their money to build monuments to your vanity? Ask yourself these questions, meditate on it, and most of all pray for guidance.